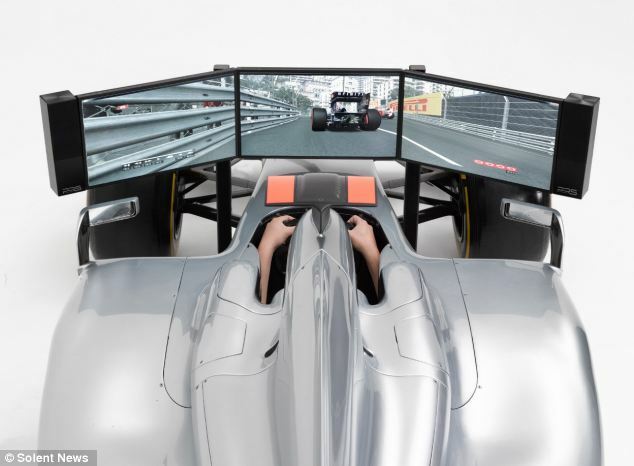 For Formula 1 fans it could by the ultimate way to see what it's really like to drive at the highest level. However, only the most affluent fans need apply for what its maker say is one of the most realistic simulators on the market. Budding racing drivers will feel like they’re out on the circuit for real in the full size car - if they are willing to part with £90,000. You could buy a Vectra and put tv screens and an XBOX in it for less than that! lol! Who here is old enough to remember the Mazda mx5 eunos that used to be in the trocadero with ridge racer and a large screen mounted in front of it ..... How much money did I waste in my misspent youth .. Available at a CostCo near you. Its just a game FFS!!! anyone added trip computer/board computer?